When Forbidden Planet premiered on 14 March 1956 space travel was still very much science fiction. To put things into perspective it should be noted that Sputnik I, the first artificial satellite, would not be launched until 4 October 1957. John Glenn's historic orbit of Earth aboard Friendship 7 was still a little under six years away. If people wanted to visit the Moon, let alone one of the planets in the Solar System, they would have to do so through movies or TV shows. Forbidden Planet would take audiences well beyond our own solar system, to the planet Altair IV, 16 light-years from Earth. Forbidden Planet originated with the team of Irving Block (who created special effects for science fiction films and produced a few himself) and Allen Adler (a writer who was the grandson of actor Jacob Adler and hence the great nephew of legendary acting coach Stella Adler). In 1952 Messrs. Block and Adler wrote a screen story entitled Fatal Planet, which owed a good deal to to Irving Block's favourite Shakespeare play The Tempest. The two men conceived Fatal Planet as a B-movie of the sort for which Irving Block sometimes provided special effects, and even planned to pitch it to Allied Artists. Originating as Monogram in the Thirties, Allied Artists was known for its low budget fare. It was Messrs Block and Adler's agent who suggested that they pitch it to MGM instead. At MGM producer Nicholas Nayfack bought the project. He promptly hired write Cyril Hume (who had written many of the early "Tarzan" movies) to write the screenplay. Mr Hume made some substantial changes to Irving Block and Allen Adler's story, but retained its basic premise. The prospective film was also renamed Forbidden Planet, which was thought to be more appealing than the title Fatal Planet. As the film's director MGM head of production Dore Schary brought in Fred M. Wilcox, who had previously directed such films as Lassie Come Home (1943) and The Secret Garden (1949). MGM budgeted Forbidden Planet at $1 million. This was an unheard of amount to spend on a science fiction movie at the time, although only slightly above the average budget of major motion pictures in the mid-Fifties. Once the film was in production its budget soon began to grow. Producer Nicholas Nayfack would insure that Forbidden Planet was more lavish than most science fiction films made before it. The special effects were state of the art. Expensive props were made, not the least of them being Robby the Robot. Impressive sets were built, both for the cruiser C-57D and the various structures on Altair IV. MGM head of production Dore Schary was alerted to the film's rapidly ballooning budget, and he visited the set to investigate. Amazed by what he saw, Mr. Schary simply poured more money into the project. In the end Forbidden Planet cost $1,968,000 to make, not among the biggest budgets of the Fifties but very respectable nonetheless. It would not only be the cost that would set Forbidden Planet apart from most earlier science fiction films. The script for Forbidden Planet also made it different from anything that had gone before. Set in the early 23rd Century, the film followed the crew of the United Planets Cruiser C-57D as they visit Altair IV to investigate what happened to the colony ship Bellerophon. On Altair IV Commander John J. Adams (Leslie Nielsen) and his crew encounter the lone survivors of the Bellerophon: Dr. Edward Morbius (Walter Pidgeon) and his daughter Altaira (Anne Francis). The original story by Irving Block and Allen Adler drew upon Shakespeare's The Tempest for inspiration. To this Cyril Hume added a mix of Freudian psychology and classical mythology. The end result was a film that was much more intellectual than most science fiction films had been up to the time. And while many science fiction films before Forbidden Planet had been made primarily for children, there was no doubt that Forbidden Planet was meant primarily for adults. Forbidden Planet was one of the the most expensive science fiction films up to its time (with a budget of $5 million Disney's 20,000 Leagues Under the Sea was one of the few to cost more). And it was certainly different from anything that had come before it. It is perhaps for that reason that Forbidden Planet did not do particularly well at the box office upon its initial release. Costing nearly $2 million to make, it only took in $2,765,000 at the box office. 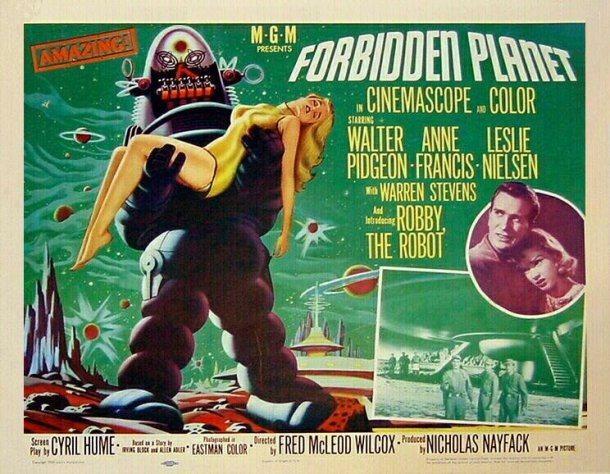 While Forbidden Planet did poorly at the box office, it did receive some very positive reviews from critics, although most of them still regarded it as something more for children and teenagers than adults. The New York Times critic Bosley Crowther wrote of the film, "Take it from us, they see plenty—and so, we promise, will you, if you'll take our advice and fetch the family, from 8 to 80, to the Globe (the Globe was the cinema at which it was showing--Terence)." Variety wrote of Forbidden Planet, "This is Space Patrol for adults, but the kiddies will be there too." In Films in Review Hal Maxwell acknowledged Forbidden Planet's intellectual content, but still concluded that it would appeal primarily to pre-teens. Jack Moffitt of The Hollywood Reporter was the one critic who seemed to grasp that Forbidden Planet was something different from anything that had come before it. Not only did he recognise its intellectual themes, but also that much of the science fiction in Forbidden Planet had a basis in scientific theories of the time. Of course, Forbidden Planet did receive some negative reviews. Wanda Hale of The New York Daily News wrote the film off as a "shameful waste of electricity." Seen today Forbidden Planet does seem a bit dated. Indeed, its introduction alone would be an anachronism within thirteen years of its release, stating as it does that "...men and women in rocket ships..." landed on the Moon "...in the final decade of the 21st Century..." I rather suspect most modern viewers will notice that the crew of the C-57D is entirely male and entirely Northern European in descent. The uniforms of the crew of the C-57D also seem dated in much the same way that the costumes from the Flash Gordon series do as well. Quite simply, they look old fashioned in a retro-futuristic way. Much of the dialogue is stilted and at times overly formal. Anyone who has seen his or her fair share of Fifties movies could easily identify Forbidden Planet as belonging to that decade even if they had never heard anything about it before. While today Forbidden Planet seems dated in many ways, the film still holds up remarkably well and is still very enjoyable today. The film's sets and even many of its special effects remain impressive even by today's standards. While the uniforms of the crew of the C-57D seem old fashioned, Ann Francis's wardrobe still seems somewhat modern. Similarly, while Robby the Robot looks like the Fifties conception of a robot, the design still has a timeless quality about it that allows it to transcend the decade. Not only does much of the design of Forbidden Planet still stand up, more importantly so does its story. Never mind the fact that it is loosely based on The Tempest and draws upon equal parts Freudian psychology and classical mythology, its story is essentially timeless. For all its special effects and impressive sets, at its core Forbidden Planet is a tale that blends the themes of absolute power corrupting absolutely, the loss of innocence, and the misuse of technology (a theme that seems to become more relevant with each passing day). While many aspects of Forbidden Planet make it easily identifiable as belonging to the Fifties, its story essentially transcends the decades. It is perhaps for this reason Forbidden Planet has remained popular over the years and is now considered a science fiction classic. Indeed, despite doing poorly at the box office on its initial release Forbidden Planet would have a lasting impact. As one of the first big budget science fiction films, it paved the way for the big budget science fiction films of the Sixties, Seventies, and beyond. 2001: A Space Odyssey, Silent Running, and even the entire Star Wars franchise then owe a debt to Forbidden Planet. Forbidden Planet would even have an impact on television. The film was one of the many inspirations for the television show Star Trek. While Forbidden Planet did poorly at the box office and was often dismissed as kiddies' fare on its initial release, it became one of the most influential science fiction films of all time. It was 50 years ago today that the classic Walt Disney musical Mary Poppins premiered in Los Angeles, California. Upon its release the film proved to a phenomenal success. It grossed $28.5 million, making it the top box office film for 1964. Mary Poppins was not simply a financial success, however, as it also received a good deal of critical acclaim. The film also received a number of awards, including five Oscars (it was nominated for a total of 13) and one BAFTA award among many others. Today it is not only regarded as a classic, but as one of the greatest musicals of all time. The character of Mary Poppins originated in the 1934 novel Mary Poppins by poet, actress, and journalist P. L. Travers. Mary Poppins proved successful and was followed by another novel, Mary Poppins Comes Back, in 1935. Ultimately there would be six more Mary Poppins books, published from 1943 to 1988. With the success of the very first book P. L. Travers started receiving offers from movie executives for the film rights. For various reasons P. L. Travers turned down most of the offers to adapt Mary Poppins over the years. Eventually she did accept one, but it was not from the ever-persistent Walt Disney. Instead the offer she accepted was from the American network CBS-TV. Ultimately the network aired a live adaptation of Mary Poppins as an episode of their prestigious anthology show Studio One. The episode starred Mary Wickes as Mary Poppins and E. G. Marshall as George Banks. Julie Andrews was then not the first actress to portray Mary Poppins. Of course, Walt Disney was among the number of movie executives eager to adapt Mary Poppins to film. It was in 1944 that his brother and fellow executive Roy Disney visited P. L. Travers about adapting the books as a motion picture. At the time Walt Disney would be rebuffed, but he remained persistent. On and off for the next sixteen years Mr Disney enquired about the rights to Mary Poppins. With the royalties to her books declining, it was in 1960 that P. L. Travers finally agreed to sell the film rights to Walt Disney. To write the songs for the film Mary Poppins Walt Disney looked to brothers Robert B. Sherman and Richard M. Sherman. Over the years the Sherman Brothers (as they were collectively known) would not only write the songs for Mary Poppins, but those for many other Walt Disney films as well as songs for the Disney theme parks. For the all important role of Mary Poppins, Walt Disney cast actress Julie Andrews. Miss Andrews already had an extensive career on stage, having appeared in The Boy Friend and My Fair Lady. Walt Disney decided upon her when he saw her on Broadway in Camelot. For Julie Andrews there were only two problems with taking the role of Mary Poppins. The first was that she was three months pregnant at the time. Walt Disney told her that they could simply delay production until after she had the baby. The second was that Warner Bros. was producing a film adaptation of My Fair Lady. Julie Andrews had originated the role of Eliza Doolittle in My Fair Lady on both the West End and Broadway. It was possible, then, that she might be cast in the role for the film. Miss Andrews was concerned that she could back out of Mary Poppins if she was cast in the role of Eliza in the film version of My Fair Lady. As it turned out Jack Warner chose superstar Audrey Hepburn over Julie Andrews because Miss Andrews was not yet a household name. Walt Disney then had his Mary Poppins. Mary Poppins proved to be an unqualified success upon its initial release. The film proved a huge success at the box office. As mentioned earlier, it became the highest grossing film of 1964 (ironically, among the films it out-grossed was the one for which Julie Andrews had been passed up, My Fair Lady). It also received overwhelmingly positive reviews. In The New York Times Bosley Crowther referred to it as "...the nicest entertainment that has opened at the Music Hall this year (the "Music Hall" to which he is referring is Radio City Music Hall--Terence)." In The Miami Times Herb Kelly wrote that Mary Poppins "...is everything one could ask for in the way of entertainment and Walt Disney's magic touch is everywhere. "As mentioned earlier, Mary Poppins also won a number of awards, including quite a few Oscars. Of course, while audiences and critics loved Mary Poppins, there was one very notable person who did not. Author P. L. Travers actually disliked the film and objected to many aspects of it. She was upset that the Mary Poppins in the film was a much cheerier character than the somewhat cold and intimidating nanny of her books. She also disliked the use of animation in the film, something to which she had objected from the very beginning. According to Richard Sherman, P. L. Travers even hated the songs in the film. P. L. Travers disliked the film adaptation of Mary Poppins enough that she left the premiere in tears. Afterwards she would never again allow any of the Mary Poppins stories to be adapted to the screen or television. While P. L. Travers hated the film, it is clear from the past fifty years that many people have loved Mary Poppins. It is not only counted as one of Walt Disney's finest achievements, but among the greatest musicals of the Sixties. In a survey conducted in the United Kingdom in 2009 by the biscuit/cookie brand Oreo, Mary Poppins topped the list of the best family films, beating out even The Wizard of Oz and Willy Wonka and the Chocolate Factory. 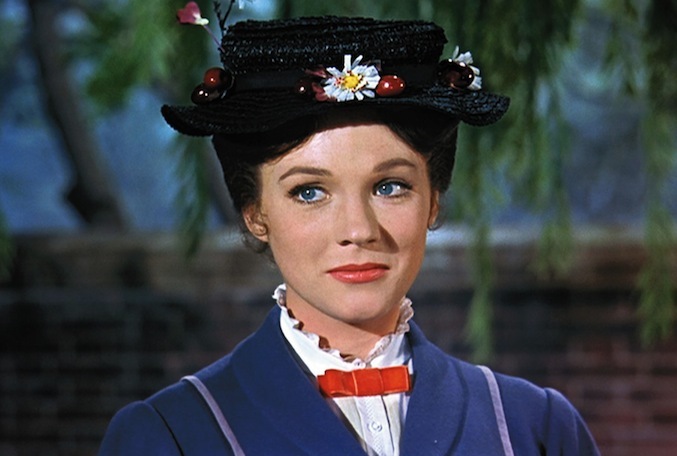 The character of Mary Poppins ranked #41 in a list of the "100 Greatest Movie Characters" compiled by Empire magazine. In 2013 the Library of Congress selected Mary Poppins for inclusion in the National Film Registry. Over the years Mary Poppins has come to be regarded as a classic and there can be no doubt it will continue to be regarded as such for a long time to come. Legendary actor, director, and producer Richard Attenborough, Baron Attenborough, CBE died yesterday at the age of 90. Richard Attenborough was born on 29 August 1923 in Cambridge. His father was scholar Frederick Attenborough, who was a fellow at Emmanuel College, Cambridge and later principal of University College, Leicester from 1932 to 1951, as well as the editor and translator of The Laws of the Earliest English Kings Æthelberht I to Æthelstan and author of Cities in Sonnets. His mother was Mary Attenborough (née Clegg), one of the founders of the Marriage Guidance Council. Lord Attenborough had two younger brothers, naturalist and broadcaster Sir David Attenborough and motor trade executive John Attenborough (who preceded Lord Attenborough in death on 9 November 1912). In 1939 the Attenboroughs took in Helga and Irene Bejach (aged 9 and 11 respectively), German-Jewish refugees. The girls lived with the Attenboroughs and were adopted by the family when it was learned that their parents had been killed in the war. Lord Attenborough was educated at Wyggeston and Queen Elizabeth I College in Leicester. From an early age his parents cultivated in him a love of music and art. It was in 1935 when he saw Charlie Chaplin's film The Gold Rush that he decided to pursue acting as a career. Richard Attenborough left school at age 16 when he won a scholarship to the Royal Academy of Dramatic Art. There he met his future wife, Sheila Sim. Sheila Sim had her own acting career prior to retiring to raise their family. Lord Attenborough made his stage debut in Ah, Wilderness! in 1941. He made his film debut the following year, appearing as a sailor who deserted in Noël Coward's In Which We Serve. He appeared in the films It Started at Midnight (1943) and The Hundred Pound Window (1944). In 1943 Lord Attenborough joined the Royal Air Force. During World War II he served in the RAF Film Unit as a cameraman. He shot footage from the rear gunner's position of aeroplanes during the RAF Bomber Command's various missions. It was while serving in the RAF that Lord Attenborough sustained permanent ear damage. Following the war Lord Attenborough returned to acting on both stage and in film. It was in 1947 that Richard Attenborough appeared in his breakthrough role in Brighton Rock playing Pinkie Brown, a role he had earlier played at the Garrick Theatre on the West End in 1942. During the mid to late Forties Lord Attenborough also appeared in such films as Think It Over (1945), Journey Together (1945), A Matter of Life and Death (1946), School for Secrets (1946), The Man Within (1947), Dancing with Crime (1947), Dulcimer Street (1948) , Boys in Brown (1949), and Morning Departure (1960). He made his television debut in 1950 in an episode of BBC Sunday-Night Theatre. Richard Attenborough was extremely prolific in the Fifties, acting both in films and on stage. Previously best known for his dramatic roles, Lord Attenborough demonstrated that he had a talent for comedy as well, playing Private Cox in the comedy Private's Progress (1956). He appeared in more comedies, including The Baby and the Battleship (1956), Brothers in Law (1957), and I'm All Right Jack (1957). Among his notable dramatic roles were those of the title character, Peter Watson, in The Man Upstairs (1958) and Lt. Lexy in The League of Gentlemen (1960). Throughout the decade Lord Attenborough appeared in such films as The Magic Box (1951), Father's Doing Fine (1952), Eight O'Clock Walk (1954), The Ship That Died of Shame (1955), The Scamp (1957), Dunkirk (1958), Danger Within (1959), and Upgreen - And at 'Em (1960). The Sixties would see Richard Attenborough prospering in his career as an actor and a producer, as well as his directorial debut. In 1963 he appeared in what might be his best known role, that of Sqn. Ldr. Roger Bartlett, "Big X" in The Great Escape. Lord Attenborough received the BAFTA Award for Best Actor for another war film, Guns at Batasi (1964). He appeared opposite Shirley MacLaine in the comedy film The Bliss of Mrs. Blossom (1968). Among his most notable roles was in a film that he and Bryan Forbes produced and that also marked Mr. Forbes's directorial debut. In Séance on a Wet Afternoon (1964) Richard Attenborough played Billy, the asthmatic husband of medium Myra Savage (played by Kim Stanley). In the Sixties Mr. Forbes also appeared in such films as Only Two Can Play (1962), All Night Long (1962), The Third Secret (1964), The Sand Pebbles (1966), Doctor Dolittle (1967), The Magic Christian (1969), and Loot (1970). In the Sixties in addition to Séance on a Wet Afternoon , Richard Attenborough and Bryan Forbes also produced Whistle Down the Wind (1961), starring Hayley Mills, and The L-Shaped Room (1962), which was directed by Bryan Forbes. Richard Attenborugh made his directorial debut in 1969 with the musical Oh! What a Lovely War, starring Sir Dirk Bogarde and Phyllis Calvert. In the Seventies Richard Attenborough's acting career slowed as he began concentrating more on direction and production. In 1971 he played a role very different from any he had before, playing real life serial killer John Christie in 10 Rillington Place. He also played Judge Arthur Cannon in the 1974 version of Ten Little Indians. During the Seventies he appeared in such films as Brannigan (1975), Rosebud (1975), Conduct Unbecoming (1975), The Chess Players (1977), and The Human Factor (1979). He directed three films in the Seventies. Young Winston (1972) starred Simon Ward as a young Winston Churchill. A Bridge Too Far was an epic war film of the sort Richard Attenborough had often appeared, starring Sir Dirk Bogarde, James Caan, and Michael Caine. Magic (1978) was a psychological thriller starring Sir Anthony Hopkins and Ann-Margret. In the Eighties Richard Attenborough focused on his career as a director He directed the historical epic Gandhi (1982), starring Sir Ben Kingsley in the title role, an adaptation of the Broadway musical A Chorus Line (1985), and the anti-apartheid film Cry Freedom (1987). Gandhi won several Oscars, including Best Picture and a Best Director award for Lord Attenborough, several BAFTA Awards. In the Nineties Richard Attenborough returned to acting. Most notably, he appeared in Jurassic Park (1993) as John Hammond, owner of the theme park of the title. He also appeared as Sir William Cecil in Elizabeth (1998). In addition to these films, Lord Attenborough appeared in the films Miracle on 34th Street (1994), E=mc2 (1996), Hamlet (1996), and The Lost World: Jurassic Park (1997). On television he appeared in a 2000 adaptation of The Railway Children and a 1999 adaptation of Joseph and the Amazing Technicolor Dreamcoat. He provided a voice for the animated series Tom and Vicky. Lord Attenborough continued to direct in the Nineties. His 1992 film Chaplin centred on Charlie Chaplin (played by Robert Downey Jr.) and was nominated for three Academy Awards. Shadowlands (1993) portrayed the romance between C. S. Lewis (Anthony Hopkins) and American poet Joy Gresham (Debra Winger). In Love and War (1996) was an adaptation of the book Hemingway in Love and War by Henry S. Villard and James Nagel while The Grey Owl (1999) was a biopic about Archibald Belaney (Pierce Brosnan), a British man who reinvented himself as a Native trapper in Canada. In the Naughts Richard Attenborough appeared in the television film Jack and the Beanstalk: The Real Story and the movie Puckoon (2002). His last acting work was a voice in Tres en el camino. His last directorial work was the film Closing the Ring (2007). Richard Attenborough, Baron Attenborough was also active in many charities and organisations. He was president of the Muscular Dystrophy Campaign for 33 years In 2012 the Muscular Dystrophy Campaign established the Richard Attenborough Fellowship Fund in his honour. Over the years he supported a vast number of groups and causes, including the British Film Institute, Capitol Radio, Channel 4, the Chelsea Football Club, the Royal Academy of Dramatic Art, the Tate Gallery, UNICEF, and United World Colleges. In 1998 he was elected Chancellor of the University of Sussex and held the position until he stepped down in 2008. There can be no doubt that Richard Attenborough was one of the greatest British actors of the 20th Century. He had an incredible range and could play nearly any role given him. This is perhaps best demonstrated by looking at two of his best known roles. He may be most famous as Sqn. Ldr. Roger Bartlett, "Big X", the leader of the escape in The Greate Escape. Watching The Great Escape one would never know that in many of his earlier war films Lord Attenborough had played deserters and cowards. Bartlett was calm, cool, collected, intelligent and brave, and possessed a conscience as to what the escape would mean. His portrayal of Bartlett is a sharp contrast to Billy in Séance on a Wet Afternoon. It is not simply that Billy is asthmatic and not particularly healthy. He is almost entirely ineffective, remaining a bundle of nerves throughout most of the movie. Even when a film was not particularly good (a prime example being the wholly unnecessary remake of Miracle on 34th Street), Richard Attenborough always delivered a great performance. Over the years he played many military men, but also a juvenile delinquent (Boys in Brown), a taxi driver (Eight O'Clock Walk), a serial killer (10 Rillington Place), and a scientist turned theme park owner (Jurassic Park). It was not enough that Lord Attenborough was one of the great British actors of the 20th Century, he was also one of the best British directors of the 20th Century as well. As a director he had an amazing eye for detail, a talent that benefited him whether he was directing small, personal scenes as those in Shadowlands or massive scenes with many extras as those in Gandhi. He was also adept at making extremely moving films. In the late 20th Century when Hollywood seemed increasingly interested only in shallow, plot driven blockbusters, Lord Attenborough made films that hearkened back to such British directors as Carol Reed and David Lean. His films were always driven by their characters rather than plots, and I have to suspect most audiences found it difficult not to have an emotional investment in them. It was not enough that Richard Attenborough was an extremely talented actor and director, he also appears to have been a true gentleman. He was one of those few people in the film industry about whom one never hears a bad word. Indeed, as a director he was known not only for treating his stars with respect, but even the extras on his films. While one might hear stories of none too nice behaviour from other actors and directors, one only hears stories of Lord Attenborough's kindness and thoughtfulness towards others. 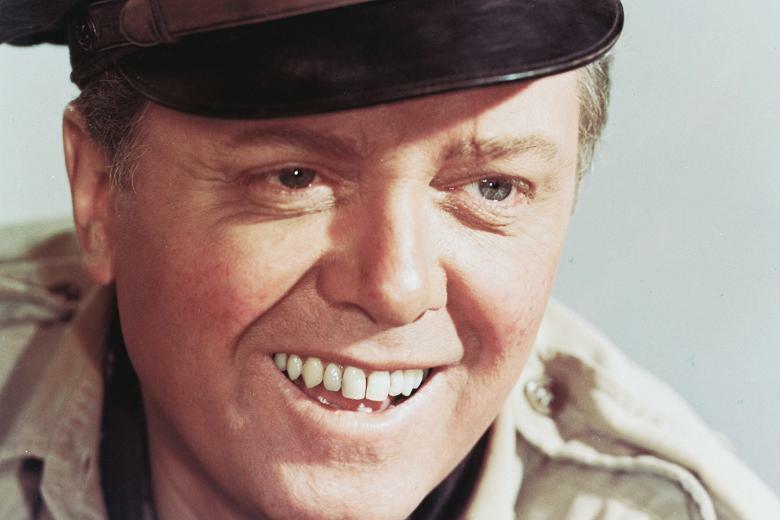 Richard Attenborough was well known for addressing everyone as "Darling". He always said it was because he easily forgot names, but one has to suspect that perhaps it was because he truly cared about other people. Quite simply, to Lord Attenborough, a true gentleman and a truly kind man, we were all "darling. "